In an effort to comply with the Horse Protection Act, the United States Department of Agriculture has proposed to implement trained individuals to inspect horses at auctions, shows and exhibitions. The people are known as DQPs or Designated Qualified Persons. They are trained, licensed, and operating under several Horse Industry Organizations. As a safeguard to deter any foul play, the USDA plans on creating a process that could revoke the license of a DQP if any misconduct occurs. 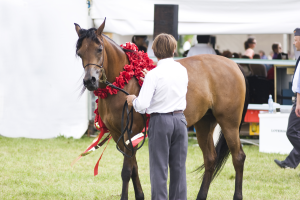 Any failure to adhere to guidelines while conducting horse inspections could lead to consequences. More information on horse protection can be obtained at the Ark Agency.